Maya is one of the founders along side her sister Sanela, of Hope VMS Elaine's Dogs. 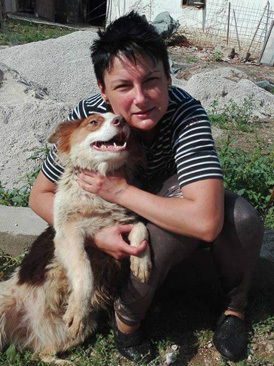 Maya lives in Bosnia, she has always had a passion for animal rescue and just felt the absolute need to help the dogs. Maya can tell you everything about every single dog in her care. She really is a remarkable young woman and an inspiration to us all.